I recently bought a used vehicle from this dealership and could not be happier. The staff was very helpful assisting me with my decision. They provided me with all the information necessary to feel comfortable with my purchase and were able to find me financing with a reputable lender. It was a fast hassle free process and everything was explained to me in detail. I ... would highly recommend Kimber Creek Ford. In today's economy, auto dealers often "twist things" to gain a sale. Kimber Creek was honest and straight-forward every step of the way. The whole experience was quick, smooth and done with the highest integrity - I feel they truly have my best interest in mind! My mom and I went to Kimber Creek and were treated awesome. This was my first experience ever buying a car and I was really nervous and stressed out, it is a huge purchase. They treated me so amazing and did everything they could to alleviate my stress and reassure me. The salesman, Steve Olson, was wonderful, along w/ James and Marya. They were all so helpful and ... great to deal with, there was never any pressure and they explained absolutely everything to me. I love my new Ford Eco Sport! Buying a new or used car was awful until we started doing business with Kimber Creek Ford. 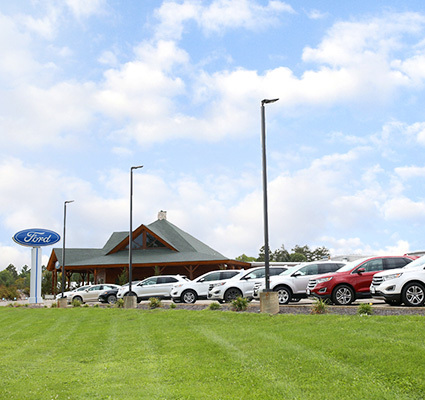 We have been buying our new Fords from Pine River Ford since 2002 and it has only gotten better under new ownership. We feel like valued customers when we make a purchase, and even more important everyday we do business with Kimber Creek Ford! We love our salesperson Betty F ... ., and Greg, Marya, and our service team led by Dayton have all been great! We really feel like we are part of the Kimber Creek family and love it! Betty is wonderful! My family has been doing business with them for many years. They have always treated us like family. Marya is wonderful as well, she gives the best hugs! Thank you Kimber Creek Ford! The staff at Kimber Creek Ford where great. We had a no pressure sales experience with Steve Olson and got an honest trade in value for our car. We love the new car and would definitely recommend Kimber Creek. Everyone was really nice, they helped me get my car back on the road when I had an emergency. The customer service was excellent. I definitely recommend going here! Very friendly. Easy to check in and was told 45 minutes to an hour and that was what is was. The Kimber Creek team is amazing. It truly feels as if they are a family. Everyone is very welcoming and helpful. I felt incredibly comfortable buying my first car from Kimber Creek. The moment we drove onto the property, Betty greeted us with a warm and welcoming smile and a big hello. She made the experience great by making sure we were comfortable and taking time ... to go above and beyond answering both questions that I had, and ones I didn't even know I had. In the short time we were there, everyone came to introduce themselves to us to thank us for choosing Kimber Creek. Marya (finance department) also deserves a shout-out for her bubbly personality and awesome attitude!! Thank you for making buying my first car a great experience!! Great experience! Everyone we dealt with was extremely kind and helpful. The sales manager, was willing to meet us before they opened due to our time constraints. Our salesman Steve was very helpful and informative and Marya who helped us with financing was great as well. We bought a lower priced used vehicle and they treated us like we we're buying a brand new truck ... . They have definitely gained a customer for life! Great prices, and VERY great salesmen Nate Geike. I would most definitely go back in the future. If you’re looking for a reliable vehicle for a great price I would strongly recommend kimber creek. Nate Geike sold us a Ford F-150. He made the process of our lease trade seamless. I would recommend giving him a call if you’re in the market for a new or new-to-you vehicle! I just purchased a Ford Escape from Betty at Kimber Creek dealership and was very pleased with my experience. She was very knowledgeable and she and the Kimber Creek staff were able to locate a vehicle that meets all of my needs. By far the most professional dealership in the area. Steve was able to answer all of my questions and found the perfect truck for me. The only place I felt comfortable buying a vehicle. Steve in Sales was the easiest to work with-- I have to say this was the easiest Truck buying experience we have ever had. We did not have to spend a whole day there, like you do at other places, fussing around. They were straight forward Thank you Kimber Ford Team and to Steve. We Definetley recommend them! This being my first new truck I ever ordered was challenge and with the help of Betty I was able to get the order right and I now have the truck and it is what I wanted. Thanks to Betty ,I like the truck. We have purchased many vehicles from this dealership and everyone of them with the help of salesperson Betty Fleischfresser!! She knows the vehicles she's selling, she will find whatever your looking for, explain the options of each one and follow through the whole process of buying the vehicle. Whenever we have a question she'll have the answer. She's excellent at ... everything she does right down to explaining each and every detail in the operation of the vehicles while in the vehicle with us!! She also takes the time to check to make sure we are understanding each operation. She takes the time to say hello whenever we bring our vehicles in for regular service, asks if we have any questions. Excellent customer service. The entire staff at Kimber Creek Ford was fantastic with providing details and explanations of financial, service and operational matters. In particular stop in and ask for Betty, she did an exceptional job. This review is from Marvin Wasen - I am very happy with the customer service & courtesy I received from Betty when I purchased my new Ford Focus! Great experience! Friendly and helpful staff. Had a great experience buying a used F150 from Nate, one price which I thought was very good compared to other comparable vehicles I found online. Sales folks were great, credit was shopped, got a nice clean truck for a good value and am happy with the experience. Would definitely recommend to at least make a stop here and test drive before jumping into a new or used ... vehicle purchase! We purchased a used vehicle through Kimber Creek and had an excellent experience. James was excellent to work with on our trade and Nate was outstanding with assisting us with our two daughters. Marya had paper and crayons for our daughters to draw pictures and tape to her walls. We drove 4 hours to purchase our truck and would do it again without hesitation. Bought a F-150 from Steve Olson and he was great, excellent service. He did a great job. Everyone who helped us were wonderful. Thank you everyone. I drove up from the twin cities to buy my used truck from Kimber Creek Ford and was not disappointed. No clever sales tactics, it was a straight forward process. I asked for an out-the-door number and got one right away. A pretty good one too. Overall, I actually enjoyed the car buying experience. A problem came up with my truck very shortly after purchase. Uh oh ... , how's this going to work out I wondered. I contacted them and they quickly took care of the problem, on their dime. No drama. I didn't even have to drive back to Pine River to get it resolved. Good customer service and integrity are not the first things you expect to find when buying a used vehicle, but I found it here. The entire team made the sales experience enjoyable and accommodated my needs. Very reputable group that puts the customers needs first. I would recommend them to others and I'm certain I will return for future car purchases. Great friendly service. Love the Cabin look to the dealership. Makes you feel comfy and more at home when doing business. Straight forward on price. Lowest you'll find. Also loved the long test drive. Really let's you get a feel for the vehicle you are looking to buy. All of the staff at Kimber Creek are very friendly and helpful. No one was pushy and let up take our own time to decide on what car would be best for us. We are enjoying our slightly-used 2017 Ford Fusion. I especially appreciated the no-pressure approach that Betty presented when showing a vehicle. She asked good questions to determine our needs and the first vehicle she showed us was the one we chose! Her follow-up a week later to see if we were satisfied or had concerns was also appreciated. All the staff at Kimber ... Creek Ford have been Minnesota Nice and professional! This is the 4th vehicle we have purchased from Houston/Kimber Creek, that should say enough. However more needs to be said. Betty Fleischfresser has been our sales rep for 3 of these and she is Outstanding. She truly cares about her customers and goes out of her way to find that Perfect vehicle for us. Even though Kimber Creek Ford is 170 miles from us, we will ... continue to get our vehicles there. I am very pleased with the service department and the treatment that I receive from them. Really felt like we were the most important customers to ever come down the highway. We were made very comfortable and assured that Kimber Creek personnel were always available to help and answer questions. We will have no problem pointing friends, family and strangers toward Kimber Creek Ford. Thanks ! Made my first truck purchase at Kimber Creek Ford and couldn't be happier with the experience. Steve Olson listened to what I wanted in a vehicle and was not pushy at all. He seemed genuine, very approachable, and I could tell he wanted to help me find a vehicle I would be happy with for the long haul (pardon the pun). The staff stayed over an hour past normal ... business hours so I didn't have to make another 3 hour round trip back to the dealership. Prices of the vehicle and trade-in offer were very fair as well. I can't say enough about the staff at Kimber Creek Ford. I purchased a 2018 F150 from Steve Olson. Very happy with the professional service I received. Will definitely be back and recommend Kimber Creek Ford to anyone looking for a vehicle. Everyone worked very hard to get the vehicle I requested. Betty is very friendly and accommodating. We just bought our third F-150 from Betty Fleischfresser in Pine River. She's absolutely the best!!! Our daughter bought a car from her also. Great experiences all around. She's very knowledgeable about all the vehicles. She's great at follow up if we have any questions. She checks in with us to see how everything is going. Love her! We just bought a Ford Escape from Betty Fleischfresser at Kimber Creek Ford. She did an excellent job in showing us & explaining to us about the different vehicles. She was very knowledgeable & friendly. She introduced us to most of the staff & they were also very friendly & helpful. We would definitely go to Kimber Creek Ford for service & sales again. I have purchased multiple vehicles through Betty, and she has always gone above and behind when try to find the vehicle that I'm looking for! I drive past multiple Ford dealers to get to Kimber Creek (Houston Ford) because the service you receive at Kimber Creek is the best! Very knowledgeable and friendly staff! Highly recommended! Just picked up our new Ford Expedition Max and I’d like to thank everyone at Kimber Creek Ford. The care we received today was over the top & we appreciate all the attention we received during our time at your store today! We worked with Betty Fleischfresser for our special purchase & she was great! Nate Makela gave us a great trade in value & went above and beyond ... assisting us all afternoon! James, the tech guru spent sometime with us as well! They have a great team there & it was a really enjoyable day! Great place to buy a vehicle! Friendly, knowledgeable staff and good prices! Will definitely be a repeat customer. Thank you Matt Kronen for making the car buying process fun! Betty is our go to sales rep. but all personal there are very helpful. If they don't have what you are looking for they will find it for you. There service department is fantastic. Bought my new truck from here and have come back for all my services with their service department. I know and trust they will take good care of my vehicle. We have purchased a few cars with Betty and she always comes through. She is well informed and is willing to go the extra mile. She was able to help me set up my ford pass app before Delivery, this made my delivery so easy. The staff at Kimber Creek is very friendly and helpful. The whole buying experience was a super job done by Betty and the staff at Kimber Creek. Betty did a outstanding job with all facets of the deal. right down to explaining all the technical aspects of the controls for my escape. Including setting my phone up in the blue tooth mode. Thank you again for a very positive experience. Betty F was excellent to deal with and very patient with my multiple visits before deciding on my new Edge. The entire staff was excellent to work with. We have purchased multiple cars through this Ford dealer and I will continue to do so. They were so understanding to work with and always friendly and kind. Thanks. I have been a customer of Kimber Creek Ford in excess of 20 years with a majority of it requiring me to drive 4 hours one way to get there. I have loved every vehicle that I have bought there with 2 of those vehicles sold by Betty. The service you get at this dealership is unlike anywhere else. Over the years I have given the opportunity to my local dealer to meet or ... beat the price and they never could do it. I couldn’t imagine going anywhere else. We had a wonderful experience and the most SUPER salesman. No pressure and explained everything to us. They all were just great and we will recommend to others. I want to thank Betty and everyone at Kimber Creek Ford. They were very knowledgeable and went above and beyond to help us. I had a great experience working with Betty at Houston Ford. She got the exact truck I was looking for! I will be going back for sure. I just wanted to say thanks to Betty. All of her advice and persistence is appreciated. Thanks Again. Ten stars for Betty and the whole staff at Houston Ford. I've bought many vehicles from them and every time just gets better and better! I will never shop anywhere else. Thank you! I've been to four Ford Dealerships in the Minneapolis Market and none compare to Houston Ford. The folks at Houston Ford made the decision to buy my F350 from them very easy. They are knowledgeable, honest, competitive and a pleasure to work with. My order was correct the first time and they have helped every way to handle all of my needs. Special thanks to Kade and ... Betty. I Love my truck! You guys ROCK!!!!! In the future I hope to send some business your way. 03/29/2018 A short note to let you know how satisfied we were with one of your sales people. This is the second vehicle we have purchased from Betty F. We had gone up there to get the oil changed in our 2012 Fusion. Betty showed us a 2015 Escape, had us try it out and we purchased the Escape. She answered all our questions and we were very happy with it. 03/20/18---You won't find a nicer more informed salesperson than Betty. Great experience buying my latest F-150 from her. She really made it easy, which is hard to find when you buy a vehicle. Thanks Betty! 02/12/18---I bought a 2014 Ford Fusion with the help of 3 people. Lacey Fuhrer she gets the word out of the amazing sale they had and told me that I better not miss it so thank you Lacey for referring me. Greg Lillquist who is an amazing salesman, listened to what I needed and what I was comfortable with and he found me the perfect vehicle. He's not just a salesman ... he's also a great family man who listens and understands so a big thank you Greg I give you 4 thumbs up if I had 4 thumbs. Marya Lillquist she is an excellent finance lady who made everything possible by finding a bank that was willing to work with me if not for you Marya I would not have the vehicle today so thank you. Everyone at Houston Ford give yourself a pat on the back you are all amazing at what you do. 01/31/18---I have purchased multiple vehicles from Houston Ford, including 3 F150 leases. Greg Lillquist has been great to work with everytime. 01/31/18--Greg has put us into 4 different cars! We couldn't be happier and drive 3+ hours to buy all of our cars from Greg Lillquist!!! Thanks Houston Ford! And thanks Greg!!!!!! 01/31/18---Greg was awesome to work with!!! I love my new F-150! Thanks for everything you and Marya did! 01/27/18---We love the staff at Houston Ford. We needed another vehicle for work, and Greg Lillquist helped us out. He is always great to work with. 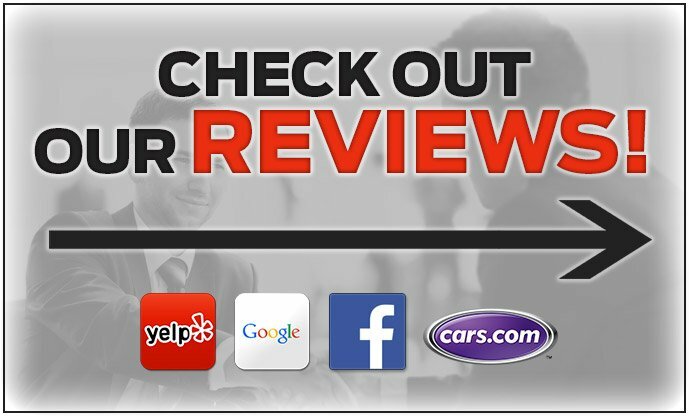 He is very knowledgeable and is good about working within our budget to find us a quality vehicle. Everything from the sale with Greg to the finance people in the office was excellent! 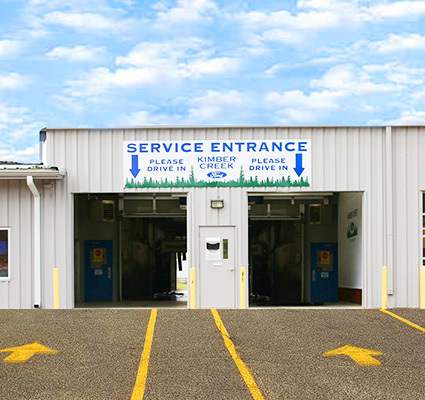 The service department is also on ... top of things when we have a repair, or just need oil changes and maintenance. Thank you Houston Ford!! 01/23/18---Purchased a used 2015 F-150 from Houston Ford. Greg and Marya were both great to work with and I am very happy with my truck. Thanks, again! 01/23/18---Great people! Greg Lillquist is great to deal with as a salesman! I would recommend any one looking for a car to contact him. 01/10/18---I have bought several vehicles from Betty Fleischfresser at Houston Ford and found her to be very good at helpin us picking out the vehicle to fit our needs. 12/11/17---Betty Fleischfresser was instrumental in helping us get the vehicle we love! She was very attentive to us and listened to what we needed. We even had the financing in order and ready to go before we came to see some vehicles. In fact, when we arrived, she had a vehicle ready for us. We took a quick test drive and we were able to take it home a short time ... later. Thank you Houston Ford for helping us out; it really means the world to have a time dedicated to helping their customers and we will definitelly return (when we need a new vehicle, of course). 11/22/17---Just leased my second Fusion from Houston Ford, thank you Betty Fleischfresser for the wonderful experience. Loved my first Fusion so much I had to get another one, and this time with more bells and whistles. Thank you again, and I'm betting I will be back for a third. 10/09/17---After not buying a vehicle for 12 years, Greg and all involved made this a headache-free experience. Wife bought her car there last year, told him what I was looking for, called me a few months later and worked with me, my bank and his crew. Low pressure, genuine concern and a beautiful dynamic. Would recommend to anyone looking for a new vehicle!!! 10/09/17---We just purchased a Ford Escape with the help of Greg Lillquist. The process went so smoothly I was very impressed. He took great care in showing us all of technology and what it had to offer. We love the Escape! Marya helped us with the finance part and did a tremendous job getting the best option for us. We will be recommending Houston Ford to friends and ... family. And won’t hesitate to return in the future! Thanks again! 10/02/17---This was are first brand new vehicle and Greg was are sales person and he was great to deal with and to buy are first new truck from. I would recommend Greg to other people interested in a vehicle. 10/02/17---Gotta give a big thanks to Houston Ford and Greg for setting me up with my new F-150. It's a amazing vehicle and accomplishes everything I need it to do. 09/05/17---A big thank you to Betty at Houston Ford, Pine River, Mn and all the rest of the crew there. We have bought cars from Houston Ford for many years and had nothing but the very best service. They are all friendly and easy to work with. Thanks again Betty. 08/28/17---We have leased or purchased vehicles for 20+ years and always had wonderful service from Houston Ford. The last few vehicles we have dealt with Betty and she is an amazing person. She is very caring, listens carefully about customers need and very professional. I recommend Houston Ford and Betty to everyone I know. Never had such wonderful customer service ... from a business anywhere. Hats off to Betty. 08/15/17---I want to thank Betty on what a beautiful job she did getting me the 2017 F-250. She made everything easy for me working from a hospital bed. Never thought a person could do that. she made it possible. Lovely job. I like the no-hassle b/s. Thanks again! 08/08/17---We have bought cars from Betty for many years. She has helped us so much especially with this one because it has too many buttons. 08/07/17---This is my second time I have gotten a vehicle from Houston Ford, and I have found them to be very helpful and caring to you, when you buy from them. The sales people are very helpful and the service people are second to none. Would recommend buying from Houston Ford to anyone looking for a new or used vehicle. 08/07/17---We made one phone call while looking for a new car.We got exactly what we were looking for at a great price.Hassle free! Everyone there was very helpful.A special thanks to Betty Fleischfresser.I will recommend Houston ford to everyone I know Thank You Guys!!! 07/23/17---Purchased a new F-150. Greg Lillquist was referred to me by my girlfriend who had purchased a new fusion previously. Greg was very Honest, Knowledgeable, and used No Pressure Tactics. I felt very Comfortable in dealing with him. Thank You Very Much Greg. 06/28/17---I used to think buying a new or used car was painful until I started doing business with Houston Ford. We have been buying our new Fords from Houston since 2002 and it has only gotten better over the years. We are not only important when we make a purchase, but we are important everyday we do business with Houston Ford! We love our salesperson Betty F., and ... Nate, Maria, and our service team led by Dayton have all been great! We really feel like we are part of the Houston family and love it! 06/25/17---We bought a used truck from Betty 14 years ago and went back to see if she was still there. She was and we bought a new Ford Explorer from her. Love the way she treats you and how knowledgeable she is. Brought a friend and he bought a car too. Very friendly people to work with. Would recommend this dealership to everyone. 06/14/17---We purchased a used Mercedes through Internet Sales Manager Nathan Makela sight unseen and drove 175 miles to pick it up. Nathan did a great job explaining the car, and we couldn't be happier with the purchase. I would highly recommend them! 06/09/17---Just picked up a new Explorer. Had a great experience. Professional and smooth from start to finish. Was referred here. And I'll be doing the same with all my friends and family. Thanks again Houston Ford - James - Matt - Chris. I'll be back! 06/09/17---I've been leasing Ford trucks at Houston Ford for 17 years now! Betty F has been my salesperson from almost the beginning. I recently picked up a 2017 Ford F150 Sport, which I just love. Betty knows what I like & has been patient & understanding with working out the best option for me. She has always been pleasant, knowledgeable & professional. Thank you ... Betty & all the staff at Houston Ford. 06-03-17---Absolutely love dealing with Houston Ford! They are so nice and they are working for the customer and not the check. I just purchased my 2nd vehicle from them in the past 3 years and will continue to go there in the future. The staff is awesome but I have to give a shout out to Greg L, he is a great salesman to deal with and would highly recommend him. 06/02/17---I had a slow leak in a tire on my F350 that was purchased from Houston Ford. I called them up and I brought it right in to be fixed. The service department was very prompt and found the problem, fixed my tire, mounted it back on and as a bonus, gave my filthy F350 a great wash. I would recommend all of the folks at Houston Ford very highly. They have all ... been very helpful and they know what they are doing. The price was right as well. Thank you, Houston Ford! 05/29/17---I dealt with Betty and Nathan, Honest-upfront on everything. The wife and I drove from Central Wisconsin, 350 miles. Would absolutely do it again. 05/28/17---Great dealership and staff. Honest and fair prices on quality vehicles. I wasn't in a hurry to purchase. They followed up periodically when they got in what I was looking for without constant barrage of nuisance sales calls. When you need a Ford, come up to the cabin and let Kimber Creek Ford show you everything that Ford has to offer in Pine River. We are not your typical dealership by any stretch of the imagination. Take one look at your log cabin or come inside to experience our local atmosphere, and you will be able to tell that we are different. Buying a vehicle does not have to be some sterile and cold process. Come into our warm cabin and let us help you get into the Ford truck or vehicle that you have been looking for. We value your business more than anything else, and we are not looking to put up a front just to get you into a vehicle. We are in Minnesota, and we are serving up Ford vehicles in the Minnesota way. From our humble location in Pine River we can easily get you the Ford tucks and vehicles that you are after. We serve Brainerd, Pequot Lakes, Duluth, Hackensack, Grand Rapids, Hibbing, Bemidji, Park Rapids, Little Falls, and hundreds of other areas all throughout Central Minnesota. Don't let distance stop you either. We've had customers come all the way from the Dakotas, Iowa, Wisconsin, and even Montana. If you are in the market for a quality used vehicle, then you have come to the right place. We have plenty of used vehicles available for you to drive away in, and every one of them is guaranteed quality. We can perform the service that you need on your Ford, and we can even handle your routine maintenance. 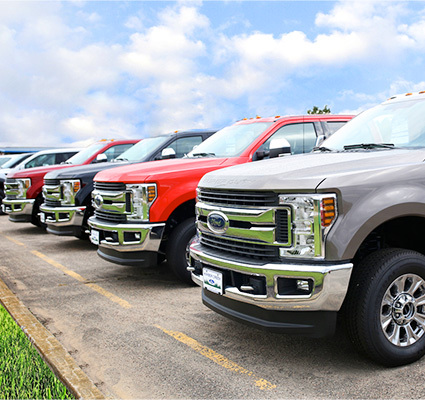 If you are looking for the accessories that will allow your truck to do the work you need done, then come to Kimber Creek Ford and see the Hillsboro truck beds and Fisher snow plows that we have available. No matter what you need, from an F-150 to a transmission swap, come to Kimber Creek Ford. We'll take care of you.